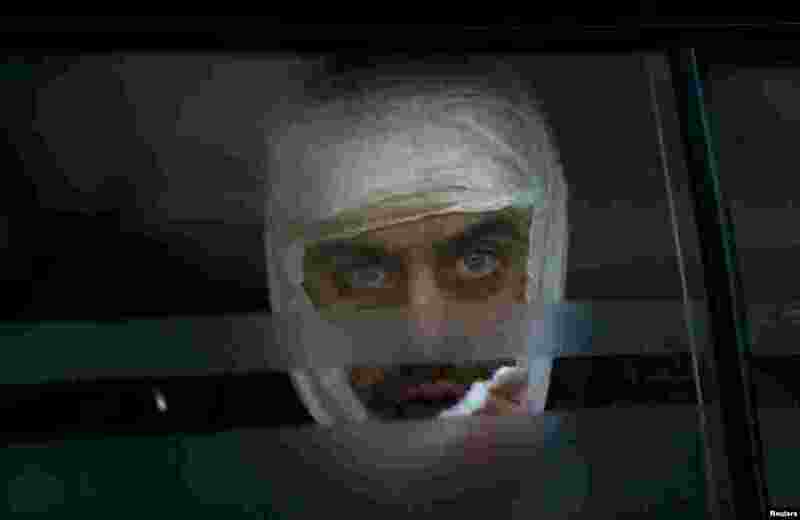 1 A wounded Ukrainian soldier looks through a window as he arrives at a hospital in Artemivsk. Government forces started pulling out of a town in eastern Ukraine after a fierce assault by Russian-backed separatists. 2 A man with a sheep soft toy waits to plant his first joss stick at the Kwan Im Thong Hood Cho temple in Singapore. 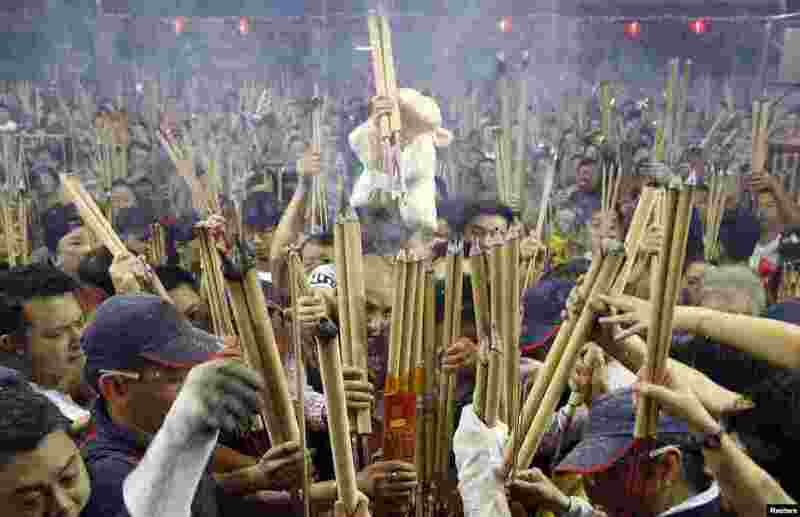 Each year, at the stroke of midnight, hundreds of people vie to be the first to place joss sticks in an urn at the temple to mark an auspicious start to their year. 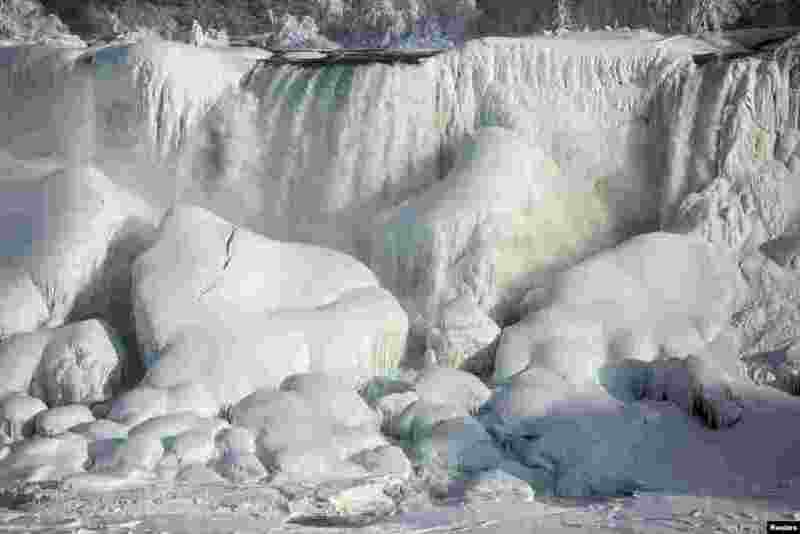 3 A partially frozen American Falls in sub freezing temperatures is seen in Niagara Falls, between U.S. and Canada, Feb.17, 2015. Temperature dropped to 6°F (-14°C). The National Weather Service has issued a wind chill warning for Western New York until Feb. 20, 2015. 4 Fatimid period gold coins were found in the seabed in the Mediterranean Sea near the port of Caesarea National Park in Caesarea, Israel. 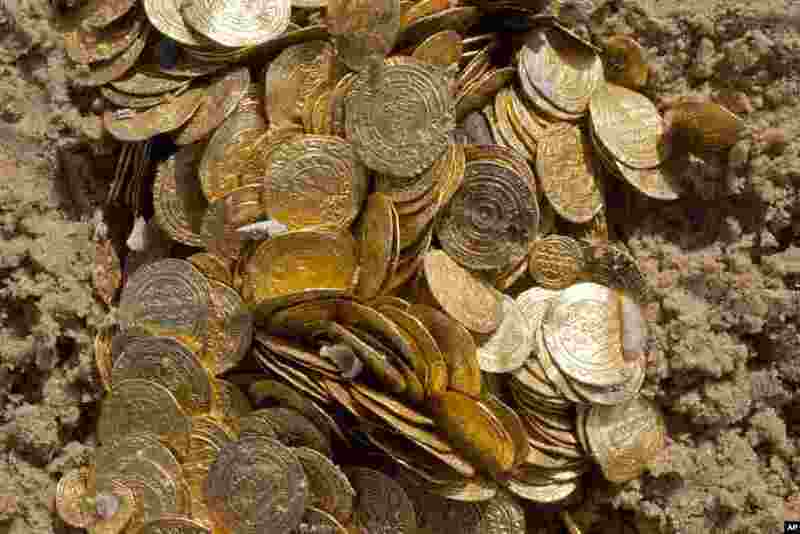 A group of amateur Israeli divers have stumbled upon the largest collection of medieval gold coins ever found in the country, dating back to the 11th century and likely from a shipwreck in the Mediterranean Sea.